There are some outstanding candidates for being labelled the best midsize sedan in the current market; some obvious, and some not so obvious. Just about anyone who knows anything about cars will know how well regarded the 2017 Ford Fusion is. But although the 2017 Mazda6 doesn't sell in anything like the same numbers as the Ford, it's had more than its share of critical acclaim over the last few years as well. So, to help potential buyers decide which one to go for, here's a 2017 Ford Fusion vs. 2017 Mazda6 comparison to see which really is the better one to buy. Although the Mazda6 hasn't had a great deal done to update its styling since the current model arrived in 2013, it's still a very attractive car. 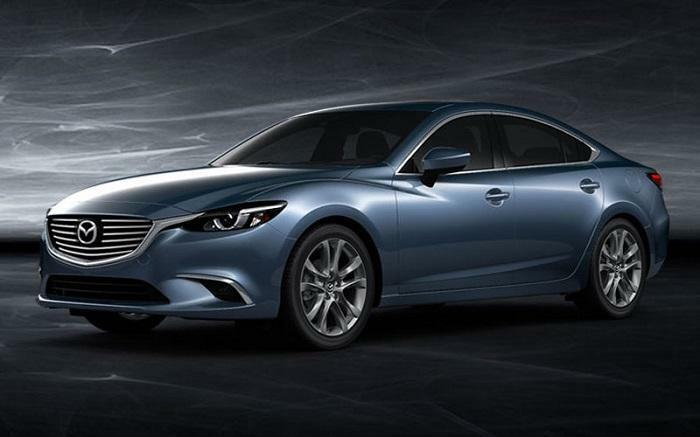 With its muscular front fenders, an arched roofline reminiscent of a coupe, and a finely detailed rear, the Mazda look sleek from every angle. The grille was reshaped last year to match the winged designed found on the company's popular crossovers, and the front fascia was also flanked with that LED "signature" lighting on top-of-the-line Grand Touring models. 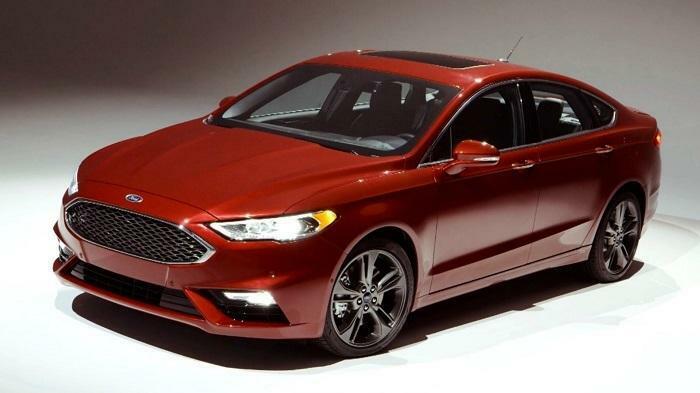 The profile, stance, and just about every detail of the Fusion's bodywork easily make it one of, if not the most attractive car in the midsize segment. The fastback shape works particularly well with darker colors, but it's no lemon in light colors either. This year does see a few minor tweaks and enhancements, which include the grille now being made slightly wider and sleeker, new LED headlamps to complement the LED tail lamps, a new chrome strip at the rear and some new wheel designs too. They're both good looking cars and nobody would be unhappy to be seen in either, but the Fusion is still the car to beat for exterior styling, not just against the Mazda6, but against anything in its class. The interior is one of the Mazda's strongest attributes after recent updates saw it really up its game. Some tasteful redesigning has seen more attention paid to the overall quality of the trim, and the dash is now adorned with a bright new display screen for the infotainment system. The Nappa leather trim that's available for the Grand Touring even moves this interior close to luxury class. Even though the 2017 Mazda6 has a very high quality interior for a mass-market sedan, there's nothing you'll find with the cabin of the Fusion to make the Mazda seem like the better choice. The quality is there everywhere you look and this year's tweaks have taken the Fusion's interior towards a more premium feel. The somewhat sporty ambience has given way to a more mature theme, especially with the dash that's now less like the Focus and Fiesta and more like a Lincoln. The sporty, fighter jet feel of the Fiesta and Focus is perfect for what they are, but the understated elegance of the Fusion deserves something a little more mature. However, the Fusion beats its Japanese rival in just about every area when it comes to interior space. The Fusion has more head and legroom in the front, more headroom in the rear, and more overall passenger volume at 102.8 cu.-ft. It's the same story as far as trunk space is concerned too, with the Fusion having 16 cu.-ft. and the Mazda6 only offering 14.8 cu.-ft.
To be brutally frank, it's a big-time slam-dunk for the Ford in the engine department over the Mazda6. The standard engine in the Mazda is a 2.5-liter four-cylinder that develops 184 horsepower and 185 lb.-ft. of torque, but that's it. There is no option to upgrade to something more powerful or something smaller and more economical either. As for the Fusion, it's a positive cornucopia of engines with no less than three spread across its five gasoline trims. The standard engine in S and SE trims is a 2.5-liter four-cylinder like the Mazda, but the SE can be upgraded to either a 1.5-liter EcoBoost or a 2.0-liter EcoBoost that's standard in Titanium and Platinum trims. Then there's the sensational V-6 in the top Sport trim, which puts a very healthy 325 horsepower and 380 lb.-ft. of torque at your disposal. Of course, another area where the Mazda6 falls short of the standards set by the Fusion is the availability, or lack of availability of a hybrid option. There simply isn't one with the Mazda whereas the Ford is available in four different hybrid trims and three with a plug-in hybrid system. The way these two drive and handle and the amount of enjoyment they give to the driver is probably as close to a dead heat as it's going to get with this comparison between the Fusion and the Mazda6. However, the Mazda still falls short because it just doesn't have the engines to match the power and performance delivered by the Fusion, and for that reason it just can't be considered the equal of the Ford. The 2017 Mazda6 is a very good midsize sedan that certainly deserves the plaudits it's had in recent times. But the 2017 Ford Fusion is a true standout model in the midsize sedan segment, which even gives luxury rivals a run for their money but without costing anywhere near as much. If you're shopping in this segment, there really is only one sensible choice.